Travel. Eat. Drink. Stuff. 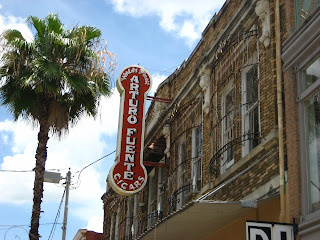 : Tampa's Ybor City - Where's the Authenticity? What happens to historic parts of towns that become run down and are then redeveloped? 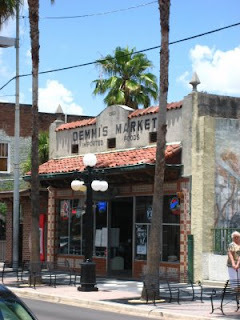 In the case of Ybor city in Tampa, it becomes nightclub and entertainment cheesiness completely lacking in authenticity. Similar to the meat packing district in New York, it has become the Disney World version of itself. There are some great old buildings and what look like authentic cigar makers, but the exodus out of Ybor city took place after World War II. It was originally founded in the 1880s by cigar makers and supported immigrants from Spain, Cuba, and Italy. Maybe I missed something, but after a stroll up and down the main street, I longed for some authentic cuban food.